Ranch in Parkville area on .70 acre! Great family living that has a feel of the country sitting on a cul-de-sac lot with perfect space with Fenced back yard great for pets or children to run wild. Nature out your back door!! Enjoy evening socializing on your back deck over looking a koi pond, lush green grass and beautiful trees. Outdoor grilling has never been more peaceful! Must see! Inside this beautiful home you will see fresh paint, hardwoods, new carpet, 4 bedrooms with 2.5 baths. You'll love it! 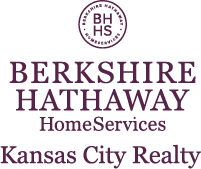 I am interested in 4915 NW 61st Terrace, Kansas City, MO 64151.